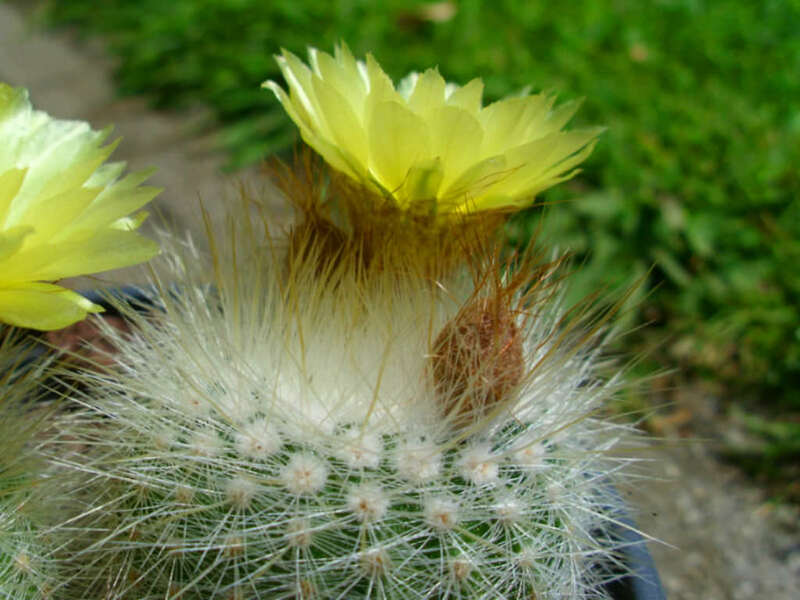 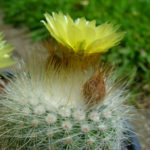 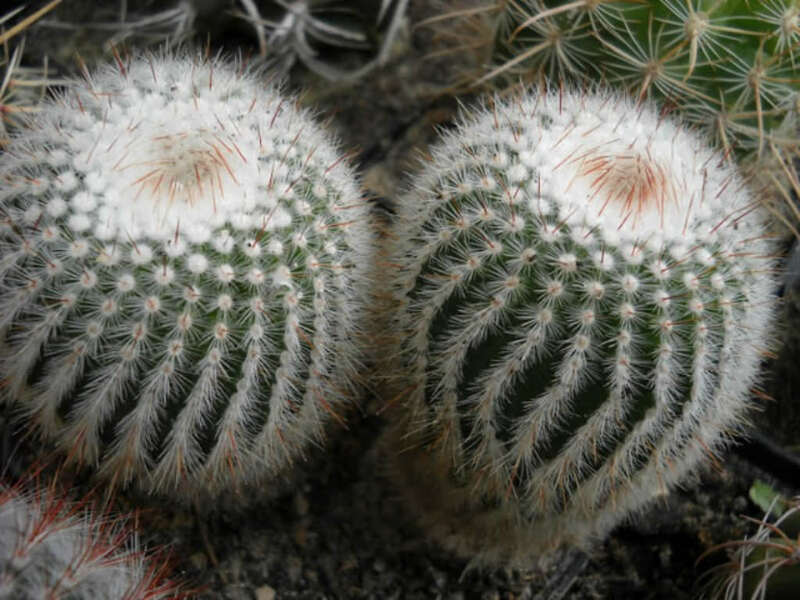 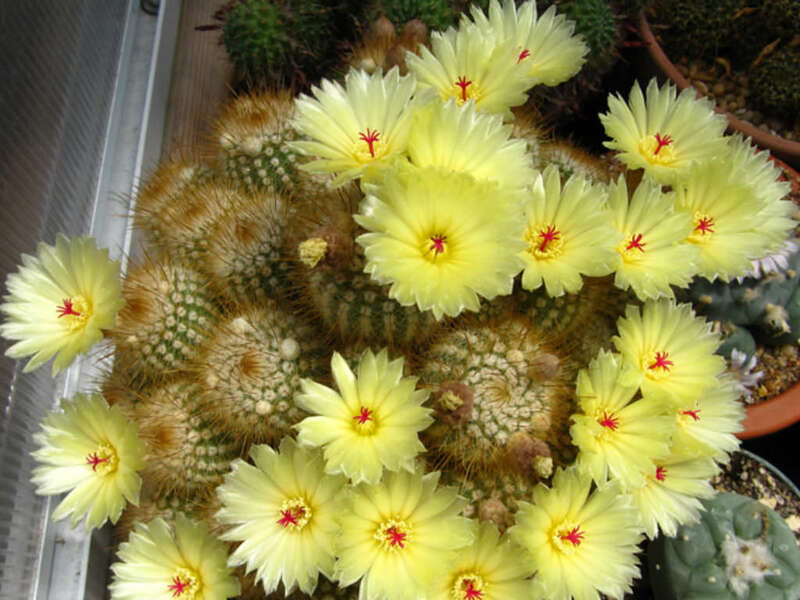 Parodia scopa a ball or cylinder shaped cactus, growing up to 20 inches (50 cm) tall and up to 4 inches (10 cm) broad, with a spiny, woolly crown and pale yellow flowers in summer. 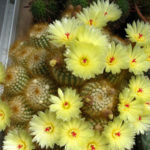 The specific epithet “scopa” means “broom” and refers to the long spines. 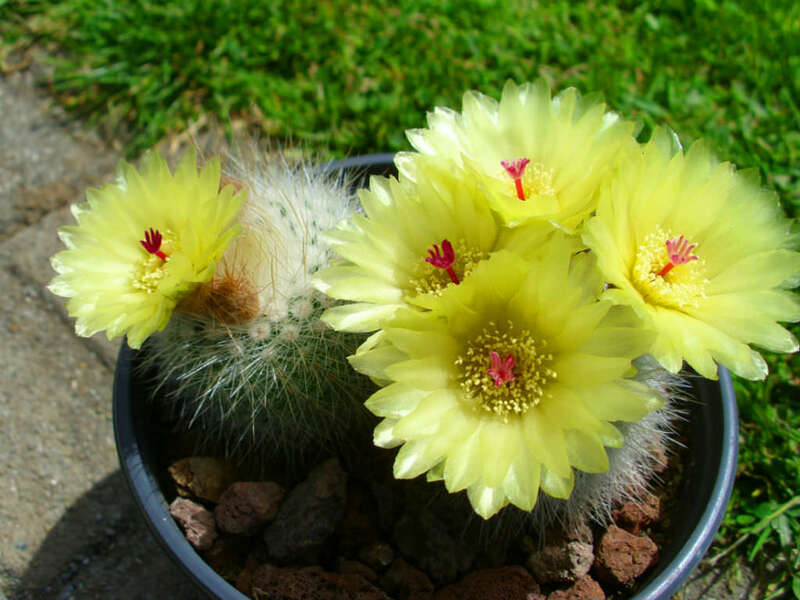 Native to upland southern Brazil and Uruguay.